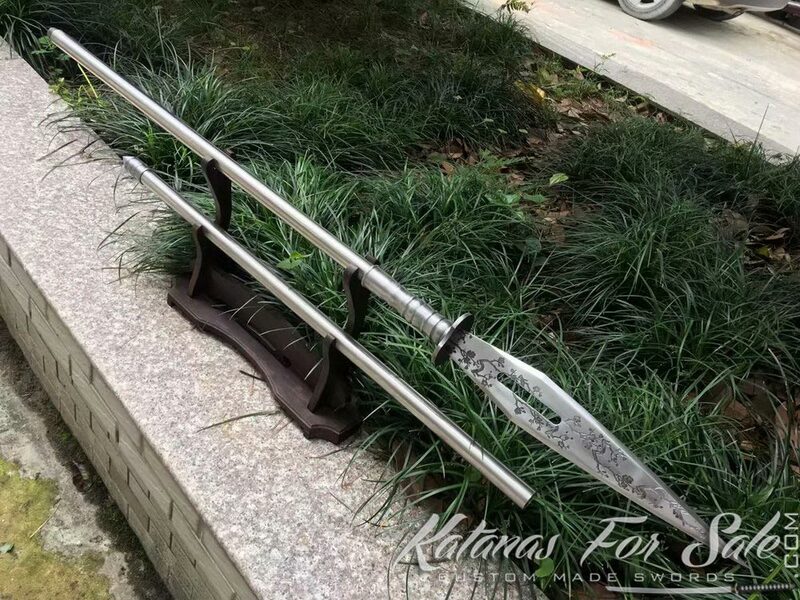 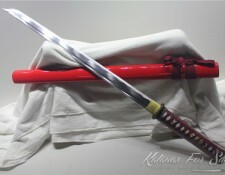 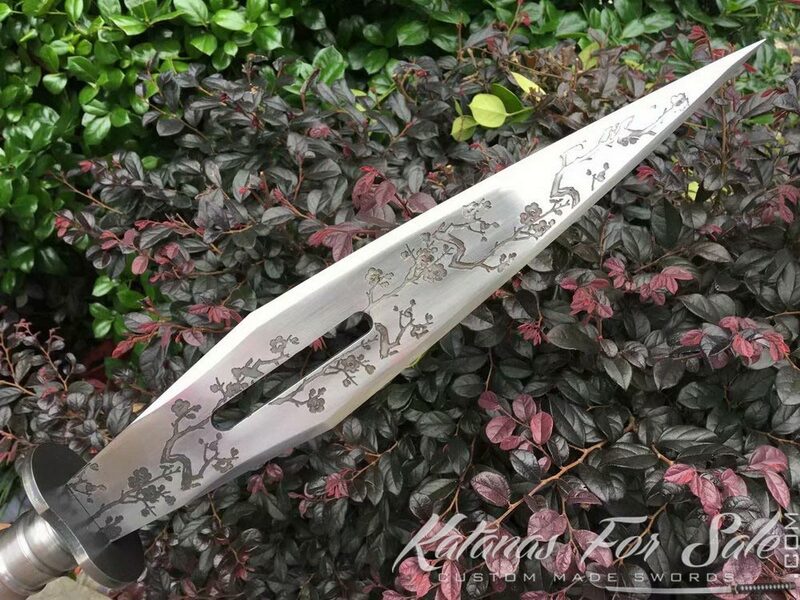 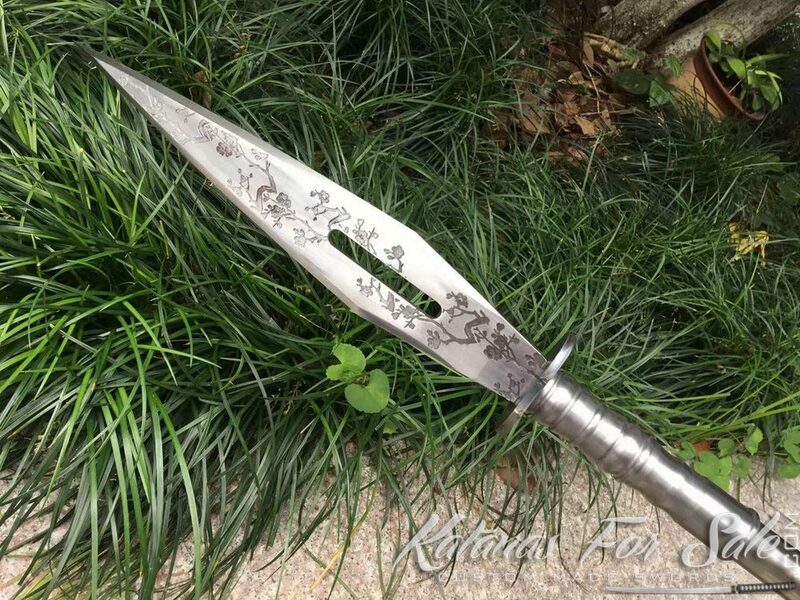 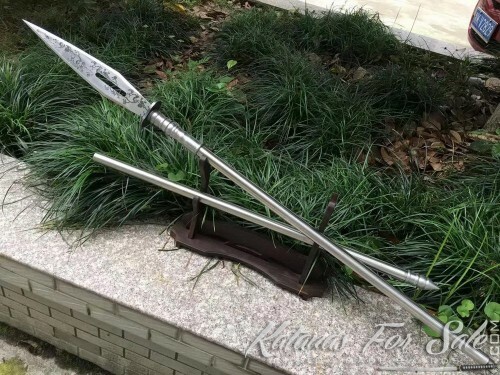 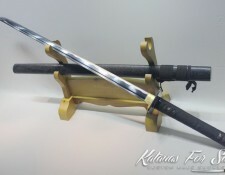 Beautiful spear made of 1060 Carbon steel featuring spearhead that is sharp and durable, the blade is decorated with flower blossom engraving and featuring a double edge triangle head with a blood groove in the center. 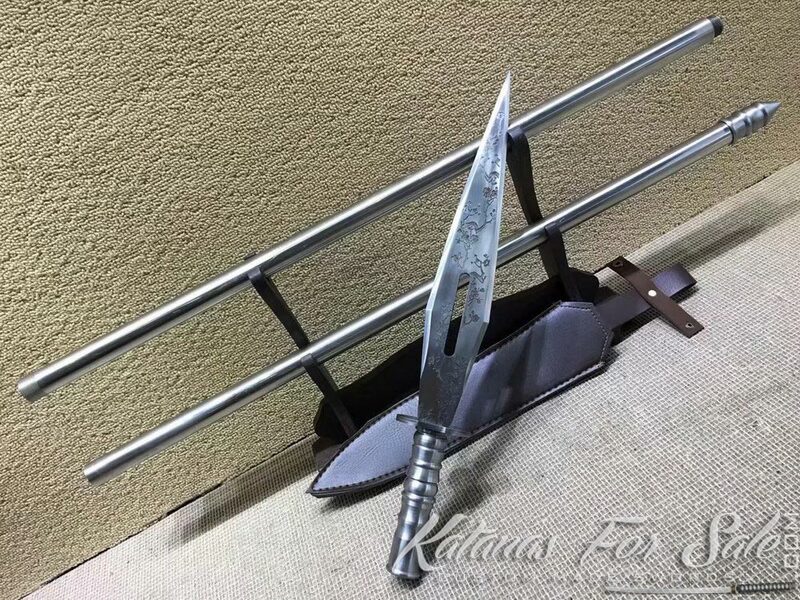 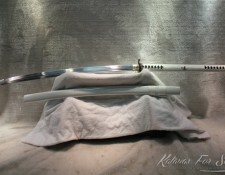 Beautiful spear made of 1060 Carbon steel featuring spearhead length of 35 centimeters, overall the handle measures 203 centimeters. 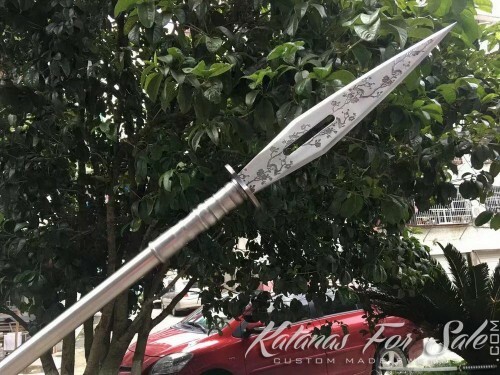 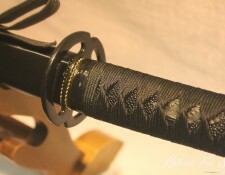 The spearhead is sharp and durable, and the blade is decorated with flower blossom engraving, and featuring a double edge triangle head with a blood groove in the center.